Flickr Animated Photo Galery for WordPress.com free blog : How to use Flickr animated gallery in your free WordPress Blog||Show your Flickr Image or photo in a stylish way . Today I will share you about How to use Flickr Animated Photo Gallery in our WordPress.Com free blog. As you know that we can’t use flash or any other type of animation (swf file) in our WordPress free blog.But there is a hack—- yes, by using a hack we can easily use Flickr animated gallery in our WordPress Blog. 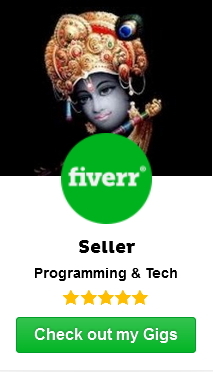 Here I am sharing you that ethical hacking technique, by which you will be able to use any type of animation and also Flickr Animated gallery to show your Flickr images by using your WordPress.com free blog. Just Follow the steps which is mentioned below. 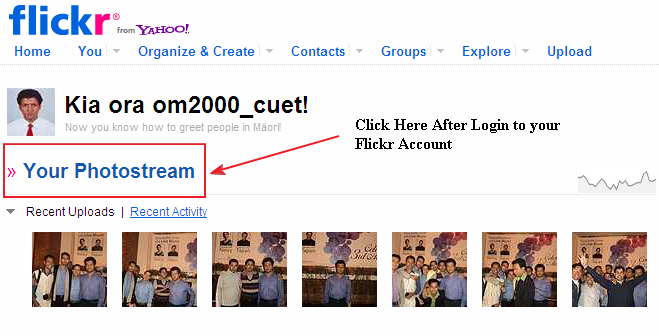 Login to your Flickr.com account and then click on Your PhotoStream. At the bottom of your Photo Stream Right Click on the RSS Feed and Select “Copy Link Location” or “Copy Shortcut”. Go to the Page at RoyTanck.com . In the middle of the page you will get a form as below. Just Paste the RSS Feed copied link in the Feed URL box. Modify the Width and Height as your requirement and then click Generate Code Snippet button. The preview and Widget code will be shown as below. Copy the Widget Code. 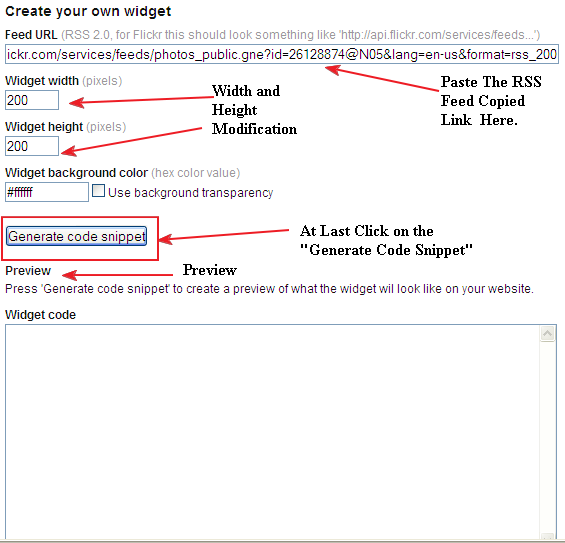 Now you have to modify the Widget Code to run on your WordPress Blog. Hacked Code is given below just you have to modify it according to the picture. 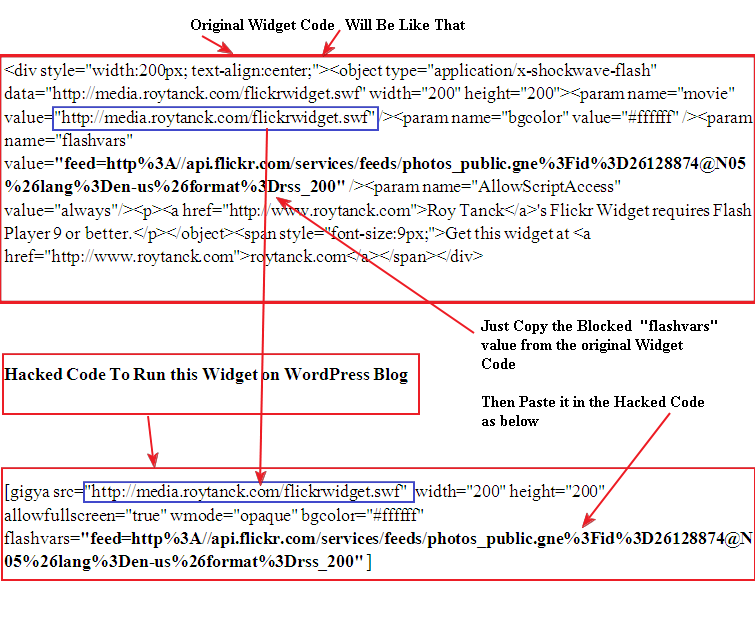 Hacked Code: Write this hacked code in a word file to modify it for your blog. Now take a Text Widget in your WordPress blog’s sidebar and paste the modified code as below. You are done. Enjoy this Hacking and Use your Flickr image using gallery in WordPress. 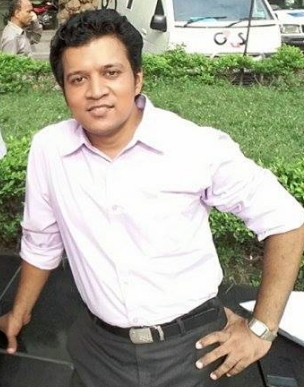 Next postProbationary Officer recruitment exam preparation for Banking sector job|| Spelling correction, Synonyms, General knowledge and fill in the gaps.